Finland’s oldest cinema, Finnkino Maxim in downtown Helsinki, is due to reopen to the public on Friday. The opening night programming features plenty of this spring’s award-winning films and other classics. To complete the cinema experience, visitors can enjoy a glass of wine and snacks prepared by Fazer Café. After two years of being closed for renovation, Finnkino Maxim will reopen to the public on Friday. On opening day, the cinema will screen Giuseppe Tornatore’s charming classic Cinema Paradiso (1988) and new releases such as Happy End directed by Michael Haneke, Sebastián Lelio’s A Fantastic Woman (Una mujer fantastica) and Guillermo Del Toro’s The Shape of Water (nominated for 13 Oscars). During the opening week, customers can learn more about the newly renovated Maxim cinema at a great price by registering and purchasing tickets at a 50% discount online at www.finnkino.fi. At Maxim you can complete your experience with tapas prepared with high-quality and delicious ingredients. Maxim’s food is planned and prepared by Fazer Café. Customers can also enjoy a glass of wine or beer with their tapas. Liqueur coffees are also available, and our range includes craft beers and champagne. You can preorder catering online or at the cinema foyer bars. “Two years of hard work have now concretely paid off, as work to renovate the architectonically valuable Maxim building is complete. 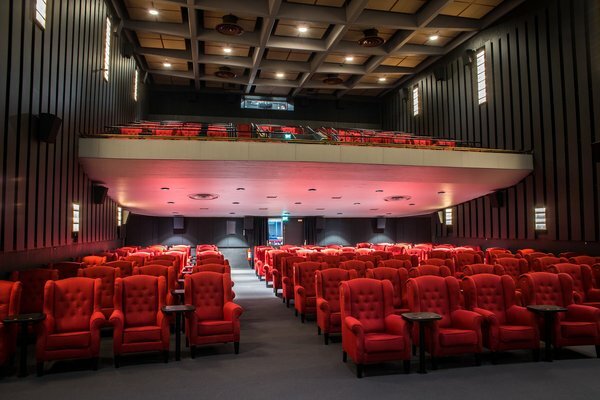 We are delighted that we can offer a full-service art house cinema in line with European trends in the very heart of Helsinki. We believe that loyal Maxim cinemagoers and new customers alike will enjoy the renovated cinema,” says Finnkino’s CEO, Veronica Lindholm. Maxim on Kluuvikatu has operated continuously at the same address since 1909, making it Finland’s oldest cinema. The original, beautiful cinema hall was designed by architect David Frölander-Ulf and was opened under the name Olympia, but later changed to Piccadilly. The cinema has operated under the name Maxim since the 1930s. The current building dates to 1974. Maxim houses two cinema halls, one of which is protected by the National Board of Antiquities. The Maxim cinema was accepted as a member of the Europa Cinemas network in 2014. Maxim’s programming has profiled the cinema as the flagship of European art house film.